The clock is running out for digital marketers who are still praying and spraying marketing campaigns to their prospective subjects. With GDPR coming into the picture this May, such incoherent and irrelevant mass campaign tactics will soon be extinct. Targeted customer-centric marketing will survive the massive regulation sweep, but even they will require assistance. Brandishing the latest model for buyer journey mapping is crucial to create targeted messages and land in the campaign regulator’s good books. 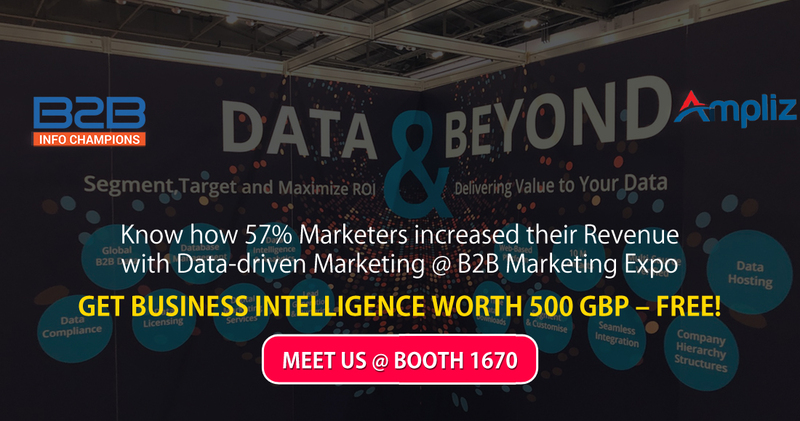 B2B Info Champions is at ExCel London from March 21 – 22, to exhibit data’s big role in the future of marketing. 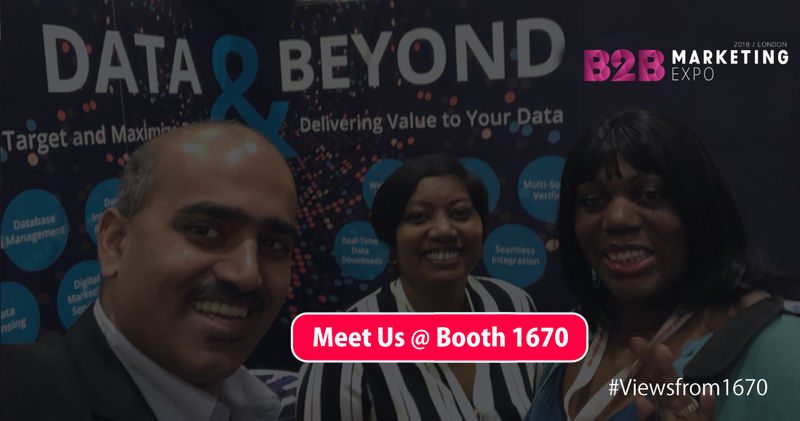 Meet us @ Booth 1670 to ideate your data-driven marketing strategies. Also, we are offering our advanced business intelligence worth 500 GBP free of cost at the venue. The marketing world is growing leaps and bounds every year. Abundance of technology and innovation invading the sector is making it hard to keep track of what’s working and what isn’t. At the beginning of another financial year, the hunt is on for marketing’s next big game-changer. Last year, there was a significant rise in the number of global businesses adopting marketing automation solutions. Predictive campaigns and ratings-based analytics set the stage for more authentic and personalised engagement platforms. And fueling these systems were in-depth customer interaction histories, or simply, big data. Big data and buyer journeys form a sort of symbiotic alliance: one feeding from the other. While big data analytics forms the understanding of modern B2B buyer behaviours, transactions from different buyer journey phases are collected into the big data profiles of clients and prospects. In light of current communication advancements, marketers have gone beyond primitive targeting methods. 1. Pre-Purchase Mapping is dying. The pre-purchase focused buyer journey mapping is failing. In a world saturated with “almost identical” products and steep competitions, retaining customers is key. Marketers are shifting their focus to thrive in their relations with existing customers. The number of companies adopting buyer journey mapping have increased since last year. As more companies start adopting the practice, transcending to the next level (measuring post-purchase activities) is just a question of time. 63% of marketers in the world are for tracking buyer journeys in their purchase cycle. There is more focus on customer advocacy to attract genuine leads. User ratings and reviews are gaining importance amongst marketing performance metrics. Since big data’s inception, understanding of buyer behaviours has expanded and become much more inclusive. 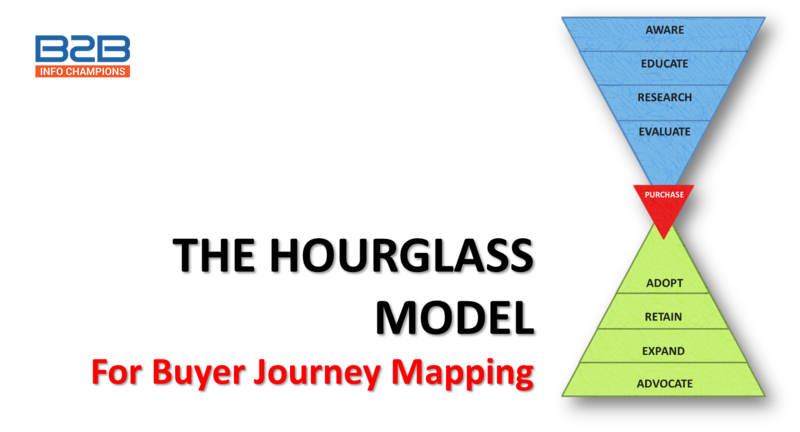 The new big data enabled buyer journey map has extended from the basic pyramid model. 2. Steady revenue generation directly from marketing is not only possible, but happening. Marketing agencies are going big for driving sales and generating quality leads this year. 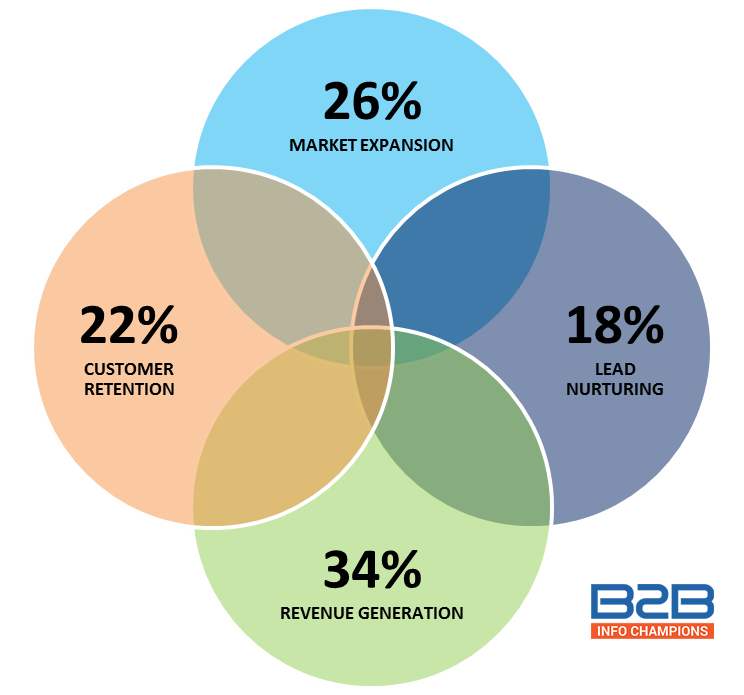 The primary goal for B2B marketing is conversions, and reforming its position in the revenue chain. 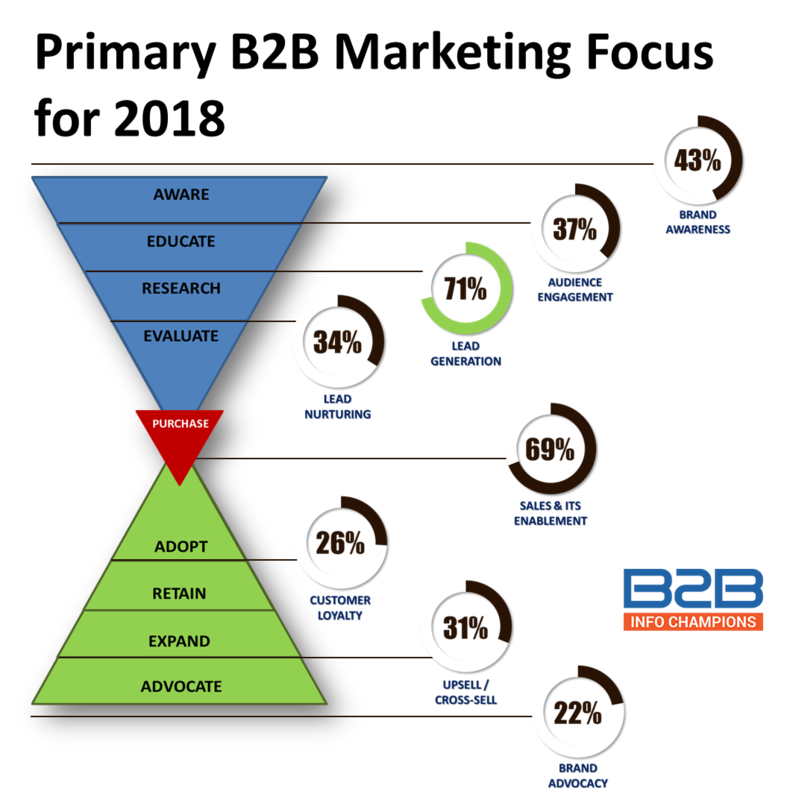 Marketers creating independent sales funnels to accomplish it. Buyer journeys are being tracked, and preference data are being used to equip inbound marketing models. There is a renewed focus on studying post-purchase cycles with the goal to create loyal brand advocates. 3. Clients will be the biggest promoters for your brand digitally. A buyer-centric digital environment amplifies the scopes for Inbound Marketing, and gets clients involved in the promotion process for brands. Strategies like user personalization, indirect influencing are all parts of this process. Awareness, Consideration, Closure, and Delight – each phase of the buyer journey has one distinct goal. Based on the intended goal, businesses change their content marketing strategies. In 2018, there is a distinct inclination to establish marketing as a potent revenue driving channel. And clients themselves will have a huge role to play in it. Extensive usage of conversion-driven metrics means targeted and personalized messaging (which is also aligned with the latest data protection policies). Does your marketing lack the data edge? 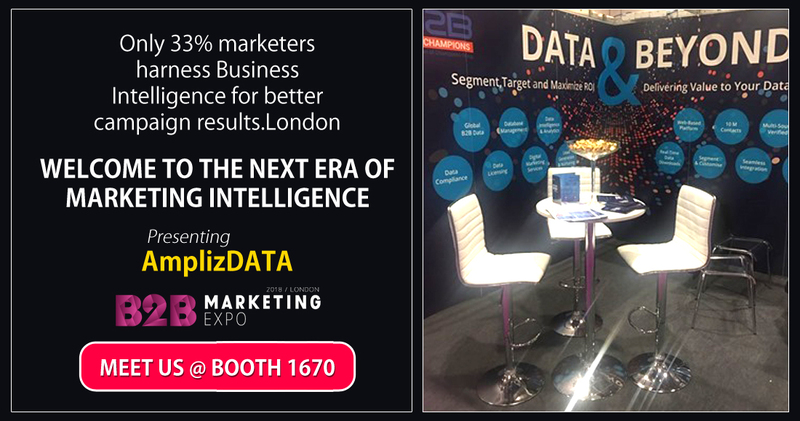 Meet our expert directly at the B2B Marketing Expo London from March 21 – 22. Only 33% marketers harness Business Intelligence for better campaign results. Get more revolutionary insights on marketing and data from our blogs and newsletters. Subscribe!